All these months Gossip Girl and The Vampire Diaries fans have been waiting for the next seasons to start. In order to ease the fans’ “pain”, CW Channel presented short teasers. In both videos, they “praise” with the awards they have already got. So, but what really interests the spectators? The plot of course. We can hardly learn something from the short teasers; however we can draw several conclusions. In the Gossip Girl Season 5, Nate dates one more cougar played by Elizabeth Hurley. Chuck and Nate come to Serena while she is on her vacation. We will see a sister of Blair’s fiancée. 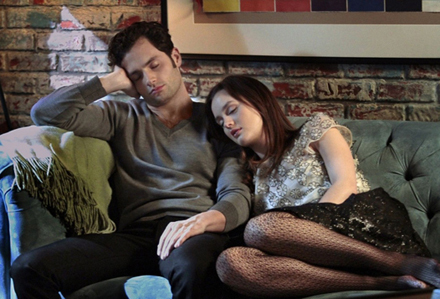 Blair and Chuck are involved in several romantic scenes. 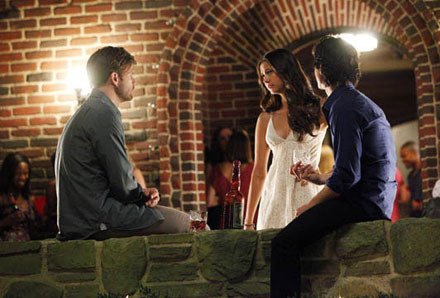 The third season of The Vampire Diaries starts with the episode of Elena’s birthday. The party is arranged by Caroline in the Salvatore mansion. Elena probably receives lots of gifts; however what do you think about the present Damon makes her? As Ian Somerhalder says, it’s not something ordinary. She refuses to let him buy her anything, so he doesn’t technically give her anything for her birthday. But he came across something that she really, really, really wanted and needed, and he did what he had to do to get it for her. She thinks that he stole it, or that he found it. It’s a very beautiful moment between them. It’s a really sweet, quiet moment. So, the third season is focused on Elena and Damon’s search of Stefan who turns into a bad guy. The common aim makes them closer as…friends. Can’t wait for the next seasons of the Gossip girl and The Vampire Diaries! And you?